Level-5 Abby, the subsidiary responsible for bringing Level-5’s games to the west, have confirmed Inazuma Eleven Ares will be released on Nintendo Switch in 2019. The company also aims to tap into the growing eSports movement for Inazuma Eleven Ares. Alongside the video game, the Inazuma Eleven Ares anime is scheduled to broadcast in North America for the first time in 2019. INAZUMA ELEVEN™ is a Super Dimensional action adventure about a team from humble beginnings rising up to keep their passion alive in the face of a corrupt elite corporation. Only when using their Special Moves can they get their point across. 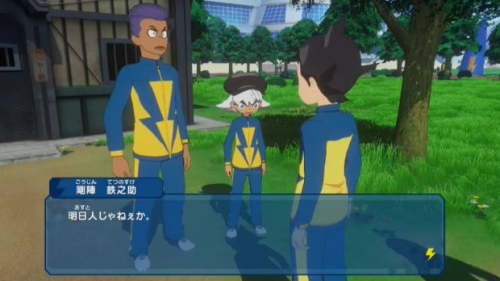 The latest installment in the INAZUMA ELEVEN franchise, INAZUMA ELEVEN ARES, depicts a parallel world that will feature both new characters and cast from the original in action packed, heart wrenching matches between the good, the evil, and those in between. Building on the foundation laid by previous series, which number over 250 episodes, four movies and more than eight million Nintendo games sold to date, the reboot series has begun its broadcast premiere in Asia, is scheduled to launch in Europe Fall 2018, and is planned to debut in North America for the first time in 2019. The slate also includes the premiere of the video game in 2019 with the aim to tap into the growing eSports movement.